2013 - June 2014 I worked as a horse trainer at Mette Mannseth´s and Gisli Gislason´s farm Þúfur. 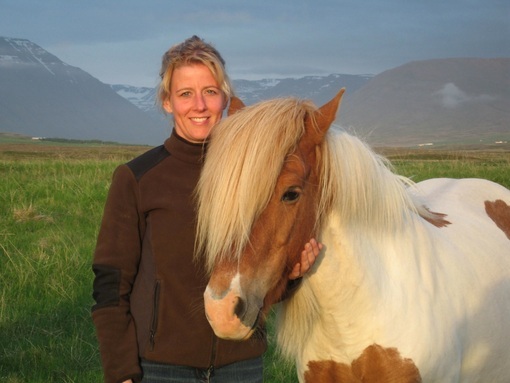 Mette is the chef riding teacher in Hólar University College and the first woman to achieve the Master riding teacher and horse trainer degree of Iceland. This is the highest degree in icelandic horsemanship and just 5 other riders have ever achieved it. Gisli and Mette are also among the best competition and breeding horse riders in Iceland. Since september 2014 I am parttime teacher at the department of Equine studies of Hólar University College.